Little Fix are the Uks no1 Little Mix tribute band as voted by the National Tribute Awards 2017 and 2018. They have appeared on The BBCS Even Better Than the Real thing. They regularly fill theatres all over the country and have recently played at Billingham Forum and The Customs House at South Shields. 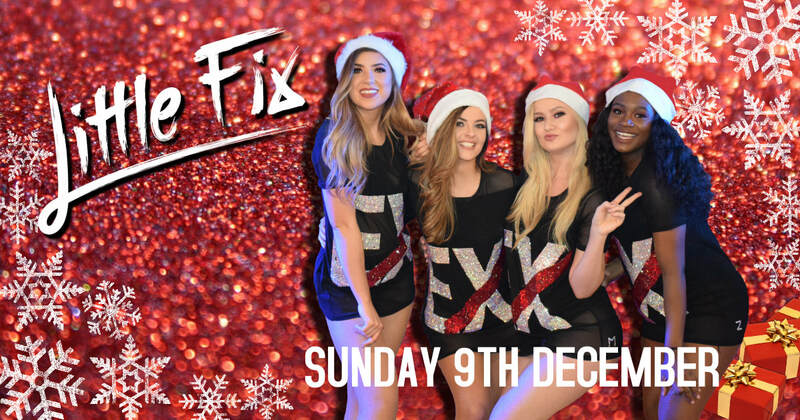 We are extremely excited to announce that We are hosting our very own Little Fix Christmas Party, with support from local girl band Sparkle, a full 90 min show and a visit from Santa. There will be a chance to have your photograph taken with the band and Santa and every child will receive a selection box. We would like to offer our local Brownies and Guides a very special offer. Our usual Ticket price is £7, with this special link below valid for our 5pm show on Sunday 9/12/18 only, tickets will only cost £5 each you will receive 1 free adult ticket with every 6 tickets purchased. We have a large free carpark to the rear of the building. The fully licenced bar will be open selling Hot dogs, Popcorn, Candy Floss, and Slushies.